According to a Toolstation survey, a quarter of UK homeowners struggle to find a reliable plumbing and heating engineer, with more people wanting a professional to take on tasks involving gas or water than any other home improvement, meaning the demand for plumbing and heating engineers is consistently high. 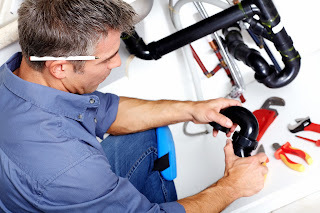 But finding a quality plumbing and heating engineer doesn’t have to be difficult. By following a small number of steps, you should be able to source a local, qualified and reputable plumbing and heating engineer. The first step is to find out whether they are members of a trade association and always check their credentials. Trade associations will always validate a person’s claim to membership, so a two minute phone call could be invaluable. Trade associations usually have minimum requirements to join and should be able to provide you with a list of members in your local area who are able to carry out the specified work. APHC requires its members to stick to a code of practice and offer recourse if anything goes wrong. You can contact APHC directly on 0121 711 5030 or use their online search facility www.FindAQualityPlumber.co.uk to source and check that a plumbing and heating engineer is a member. ‘Word of mouth’ recommendations can be useful in determining the reliability of a plumbing and heating engineer, so try and find a trade’s person who has worked for someone you know. Ask friends, family and neighbours and don’t be afraid to ask to look at their work to gain an understanding of how well they carried out the work. You should also ascertain whether the plumber or heating engineer is qualified, competent and capable of carrying out the work. Make sure you check the person's qualifications and experience of carrying out similar work and get two or more references. Check online for any customer feedback. Read the trader's Facebook page and Twitter feed to see how they are interacting with other customers. Once you've decided on your plumbing and heating engineer, ask for a detailed written quotation with start and finish times and agreed payment terms. Always use a written contract as it offers you protection should anything go wrong. When it comes to maintenance work only pay for work that has been done and not by advance payments. Where materials need to be bought in advance, it is reasonable for the plumbing and heating engineer to ask you to pay a fair percentage of these costs as the job progresses, but the amounts have to be reasonable. APHC warns against using a plumbing and heating engineer who demands 100%, or a large proportion, of the fee up front.